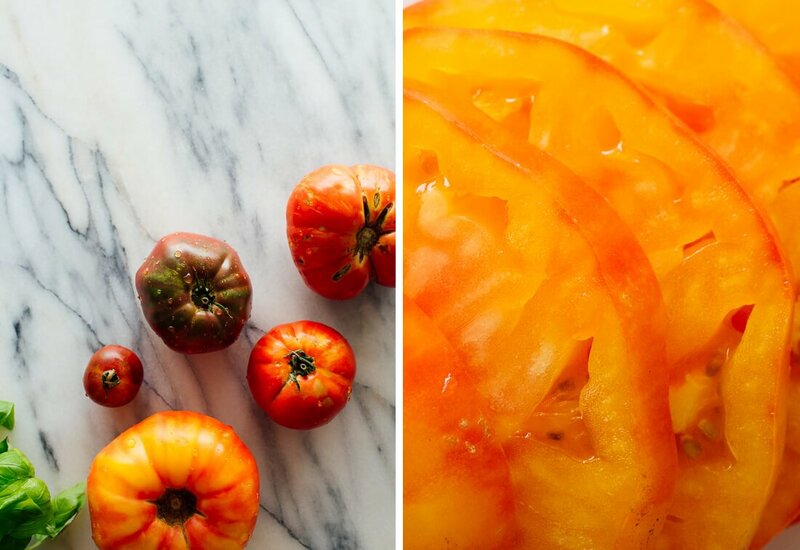 This summer is the summer of heirloom tomatoes. Ripe, juicy heirloom tomatoes in all shades of red, yellow and orange. My friends have gifted me a few from their gardens this summer, and they’re so perfect when sliced and sprinkled with a little olive oil and flaky salt. I couldn’t walk by the overflowing bins at Whole Foods one more time without stocking up and making something big and bold out of those gorgeous tomatoes. What better than a classic Caprese salad, made with the simplest of ingredients? Traditional Caprese salads are made with slices of tomato, mozzarella, sprinkled generously with basil, salt and pepper, finished with a drizzle of olive oil. Caprese salad literally means “salad of Capri,” an Italian island in the Mediterranean. I can’t confirm that it actually originated there, but it is Italian and it is delicious. A well-made Caprese salad will make a statement at your summer parties, but it’s easy and simple enough to enjoy on a regular weeknight. 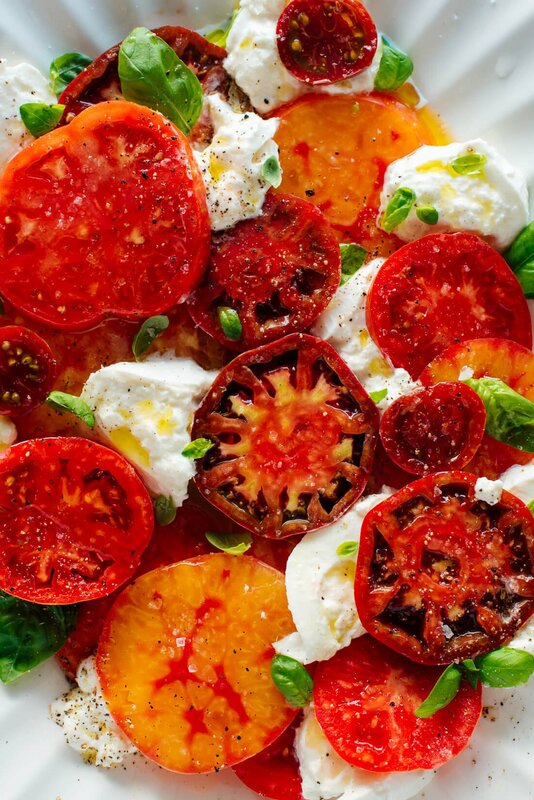 The post Heirloom Caprese Salad with Burrata appeared first on Cookie and Kate.